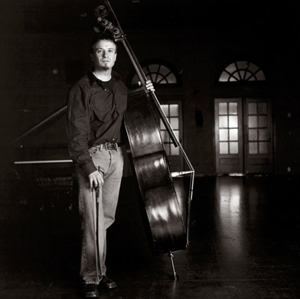 Michel Taddei studied double bass with Homer Mensch at the Juilliard School. Other teachers have included Joseph Cascelli, Henry Portnoi, Lawrence Wolfe, and Stuart Sankey, and chamber music studies with Eugene Lehner and Lewis Kaplan. He was invited by Kent Nagano to become Principal Bass with the Opéra National de Lyon (France), while still in graduate school at UC Berkeley. Performances, festivals, tours, and recordings with the Lyon Opera included collaborations with many of the finest artists of our day, including Jessye Norman, Kiri Te Kanawa, Natalie Dessay, and John Eliot Gardiner. Since his return to the US, Michel’s career has included tours as Principal Bass with the New York City Opera National Company and Western Opera Theater, as well as performances with the Russian National Orchestra, San Francisco Symphony, New Century Chamber Orchestra, Earplay, and the San Francisco Contemporary Music Players. He has toured with Yo-Yo Ma and the Silk Road Ensemble in the US as well as in Central Asia. Michel will perform with Ma and the SRE again in September of 2008 at the Hollywood Bowl. Michel is Principal Bassist of the Berkeley, Fremont, and Pacific Chamber Symphonies, as well as the Mendocino Music Festival and San Francisco Chamber Orchestra (SFCO), and serves as Assistant Principal Bassist of the California Symphony. He is a founding member of the Left Coast Chamber Ensemble, and has performed on many chamber music series in the Bay Area, as well as at festivals including those of Moab, Utah, and Le Festival des Sept Chapelles, Rives de Gier, and Caves de Roussillon in France. He has been a concerto soloist with the SFCO, the Golden Gate Philharmonic, and the Berkeley Symphony, the last in a piece commissioned expressly for Michel. He teaches double bass at CCMC, and is Administrative Director of Music at The Crowden School, where he has served on both the music and academic faculties. Michel is also on the faculty of the Golden Gate Philharmonic in San Francisco , and the summer chamber music workshop of the Palo Alto Chamber Orchestra (PACO). He has been a guest conductor for the PACO Debut Orchestra, and recently toured as soloist in the Dragonetti Concerto with the PACO Senior Orchestra in Northern California and Oregon. Michel has also coached for the Emerging Artists program at the Mendocino Music Festival, the New York Youth Symphony, Oakland Youth Orchestra, UC Berkeley Symphony, and Young People’s Symphony Orchestra, and has been a guest coach for the Cypress String Quartet’s “String Day” chamber music intensive. He has numerous recordings to his credit, including commercial work at Fantasy Studios, film and video game scores for Skywalker Sound, and over 40 CD and DVD recordings on the EMI, Decca, Erato, Nonesuch, Philips and Virgin labels, among others. Recent recordings include world premieres by Edmund Campion and Libby Larsen. Michel is also a singer, with significant experience in opera, oratorio, and concert work.